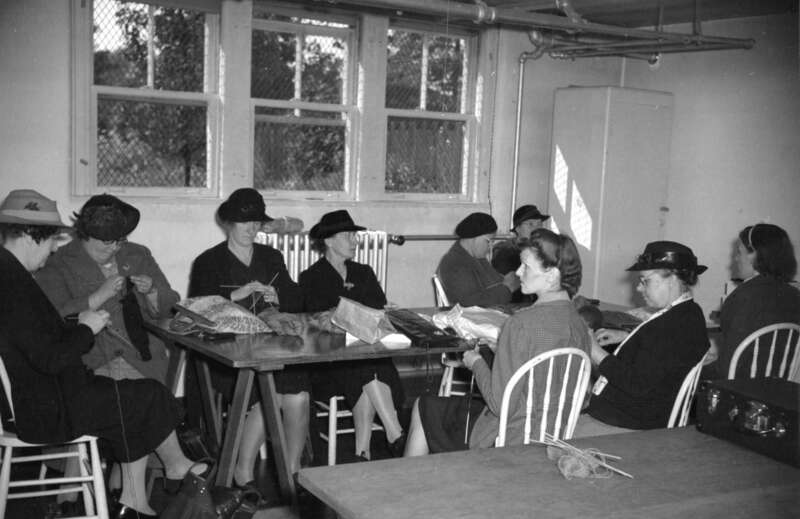 Join us for a 1940’s inspired Knit-in on Saturday July 23, from 1pm to 3pm! This will be the first of our Life Hacks of the 1940’s programs, to accompany the Cannery’s current feature exhibit, Women on the Homefront: Women’s contributions during World War II. It will be an afternoon for knitters – whether expert, amateur, or ‘the uninitiated’ – to come together and create some memories, of both experiential and the woollen kind! For those who wish to learn, we’ve invited local knitting community members who will be happy to teach you. The program will be open to all ages — a fun activity with child-friendly knitting spools will also be offered. For visitors, the event will be included in the price of museum admission. Society members are invited to join for free. If you wish to bring your own supplies, you are welcome to do so (we’re looking at you, knitting enthusiasts), but otherwise, we’ll have plenty for those who do not bring their own. What’s more, for those who wish to make a contribution, just as the women pictured above were, the Cannery will be collecting all scarf and sock donations from participating knitters to gift them to veterans for this year’s Remembrance Day on November 11, 2016.